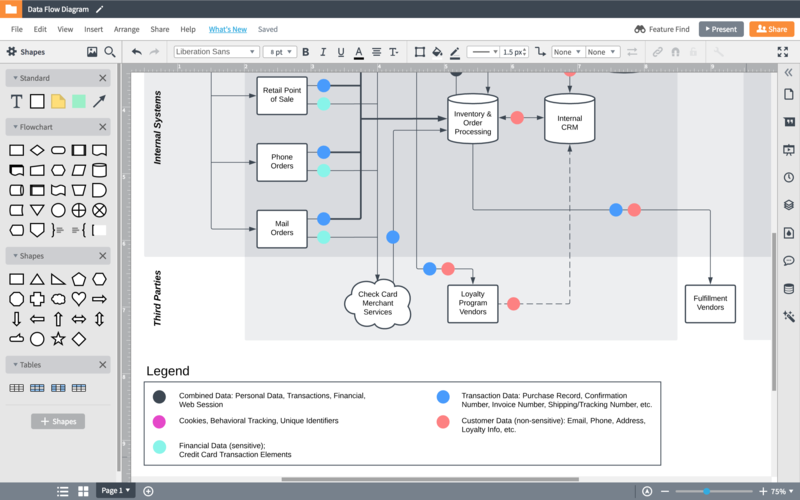 See how Lucidchart can help you streamline your IT organization. Whether you need to train new hires or give context for employees switching teams, Lucidchart can help your team members become familiar with networks, systems, and processes through visuals. Save time and create clarity as employees gain the knowledge that’s essential to their roles. When employees can easily access process flows, system documentation, network diagrams, and other visuals, everyone will follow the same processes, reducing the time your IT org spends resolving issues throughout the company. Keep this documentation in Lucidchart, or store it in Jira, Confluence, and other leading apps through our integrations. 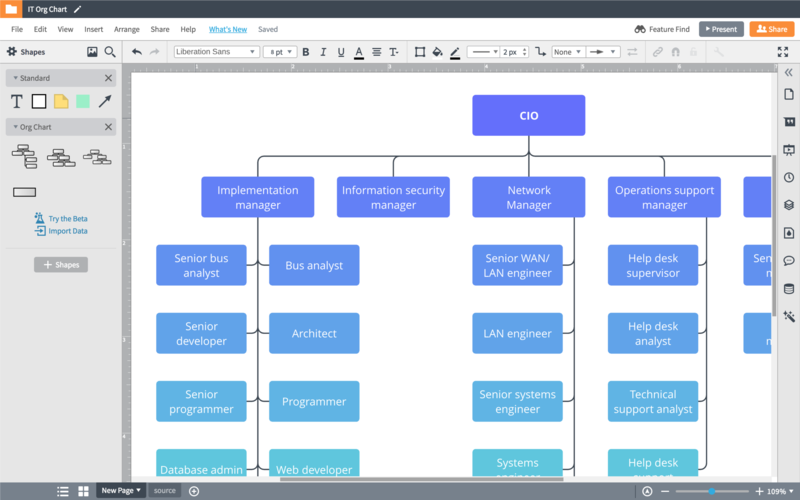 Lucidchart helps you make your IT org more efficient—create org charts to find the best way to structure your teams and process maps to promote organization and consistency. With Confluence and Jira integrations, you can keep documentation up to date and housed in a centralized location for everyone to access. Need to communicate technical information to a non-technical audience? Lucidchart can help you bridge the gap. With our intuitive platform, you can build visuals that clearly explain your team’s plans and initiatives to all audiences and convey how they contribute to the organization’s overall objectives. As a company in transition from a traditional, physical products group to a company focused on the provision of digital services and software, we needed an entirely different internal environment to allow our workforce to collaborate. 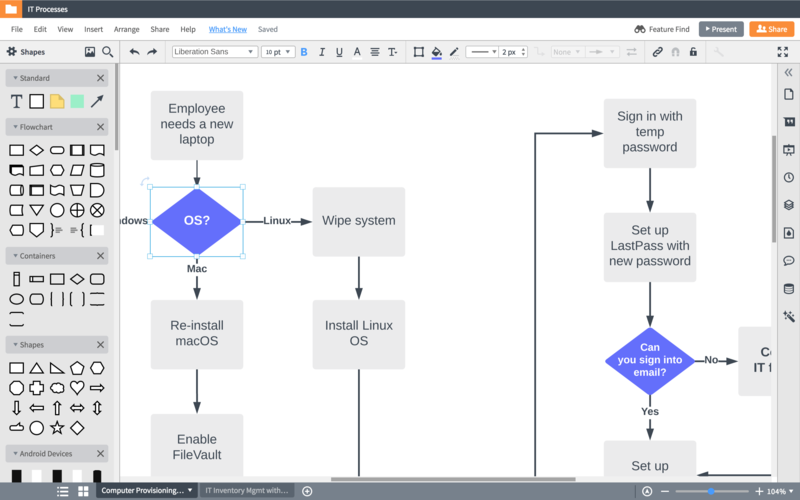 Coming from the Visio world previously, I doubted that any remote or web-based application would be able to be as responsive as Visio. 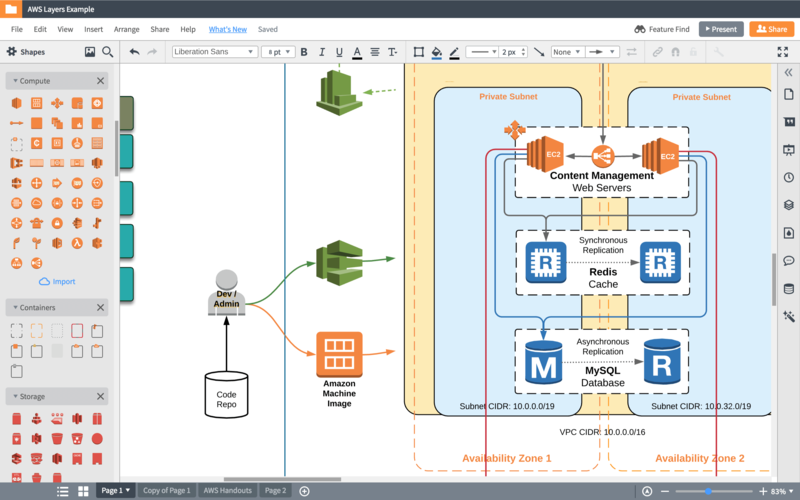 Lucidchart is fantastic, and I never expected that.